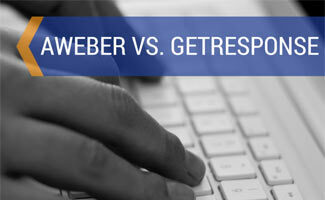 AWeber vs GetResponse: Who's Better? Home > Business > Marketing > Email Marketing > AWeber vs GetResponse: Which Email Marketing Company is Best? Worried that your business email marketing strategy isn’t cutting it? Want to keep better track of your email campaigns wins and losses? AWeber and GetResponse can vastly improve your current email marketing practices for less than $20 per month. 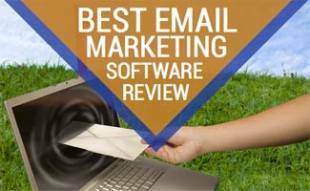 Both companies are among the most popular email marketing service providers, but which one is best for your needs? Read our AWeber vs GetResponse review to see each services’ features, pros and cons, pricing and more to help you decide. This category is tough to call. AWeber provides phone, live chat and email support seven days a week but no live support after 8pm EST on weekdays and 5pm on weekends. 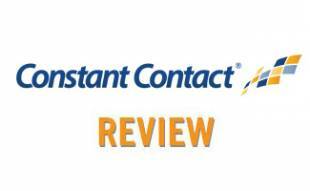 GetResponse used to offer phone support, but now they only provide live chat and email. Their live chat, however, is available 24/7, even on weekends. Both services have great reputations for helpful tech support and excellent online knowledge centers, tutorials, FAQs and other resources to help you fine tune your email marketing campaigns. Both services have hundreds of templates to choose from and simple drag-and-drop editing tools, but we give AWeber the edge when it comes to design tools. AWeber makes designing your emails as easy as it gets, even if you want a lot of customization options. GetResponse’s UI isn’t as intuitive as AWeber’s. GetResponse and AWeber both have fantastic stock image libraries, but AWeber gives you unlimited image storage for your own files while GetResponse has a storage cap. Both AWeber and GetResponse are two of the best email marketing service providers for high deliverability rates. These companies have long-standing excellent reputations — and this goes a long way with Gmail and other email services getting your emails to your audience’s inbox. Both services also also have spam check tools that alert you of any problematic content in your email that could be marked as spam. Based on user reviews and several deliverability tests we found online, however, GetResponse appears to get your emails to inboxes at a better rate than AWeber. AWeber and Getresponse both provide good basic autoresponder functionality, and Aweber’s is easier to use. GetResponse, however, blows AWeber out of the water with more advanced capabilities. GetResponse allows you to set up an ‘automation flowchart’ that tells Getresponse what to do if a user performs a wide variety of actions. Trigger possibilities are more comprehensive with GetResponse, including URLs visited, changes to a subscriber’s custom data, product purchases, abandoned carts and much more. Both AWeber and GetResponse provide solid tracking and reporting features, including email open rates, unsubscribe rates, which links were clicked, ROI and more. While AWeber gives you a ton of data, their reports are cluttered and not as intuitive as GetResponse’s analytics. GetResponse also edges out AWeber for their Intuitive Email Analytics, which includes social sharing stats, global view, autoresponder stats and much more. Another bonus for GetResponse — they provide Google Analytics integration, while AWeber does not. AWeber is pricier than GetResponse’s lowest-tiered plan, which gives you a lot of functionality. GetResponse offers substantial savings with its annual 18% discount or 30% discount for two-years (prices below don’t reflect this discount, and you must pay ahead of time). GetResponse gives nonprofit 501 (c)(3) organizations a 50% “forever” discount on all of its pricing. AWeber offers three months free to non-profits and 25% off after that. Students get 20% off. Both AWeber and GetResponse offer a 30-day free trial. AWeber has a fantastic set of features, but GetResponse is nearly impossible to beat with its robust tools, advanced automation and intuitive analytics. You can also get a dedicated IP address, built-in surveys and Google Analytics, all of which are lacking with AWeber. If you’re new to email marketing or trying to decide if it’s worth the time and cost, consider this — in a recent survey by eMarketer, business owners cited email marketing as the most effective digital marketing channel for customer retention in the U.S. It’s really not a question of if you should use email marketing, it’s a matter of where to start. Both AWeber and GetResponse have dozens of tutorial and best-practice-tips videos to help you optimize your email marketing campaigns. This video by AWeber, for example, gives beginners some great tips on email content and how to get started. AWeber and GetResponse have their pluses and minuses as you’ve seen with our comparisons. Overall, we prefer GetResponse because you get the most bang for your buck — and its basic plan, that gives you a ton of functionality, is less expensive than AWeber. If you want better marketing automation and analytics tools, GetResponse is the way to go. However, if an easy-to-use interface and design tools and phone support are more important, then AWeber deserves serious consideration. You can’t go wrong with either of these top providers. What About Other Email Marketing Services? Ultimately, your decision comes down to what features you want for your email marketing campaigns. Haven’t seen the ideal combination here? 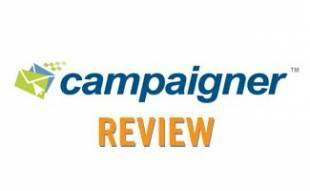 Be sure to read our Reviews of Other Email Marketing Services we’ve written to compare more than 20 of the top providers. What email marketing features are most important to you? Hey, this is awesome! Thank you for the kind word about GetResponse. We do our best to satisfy every customer and provide the best possible experience in running marketing campaigns. We hope that our automation solutions allow all of them to maintain a healthy balance between work and life.